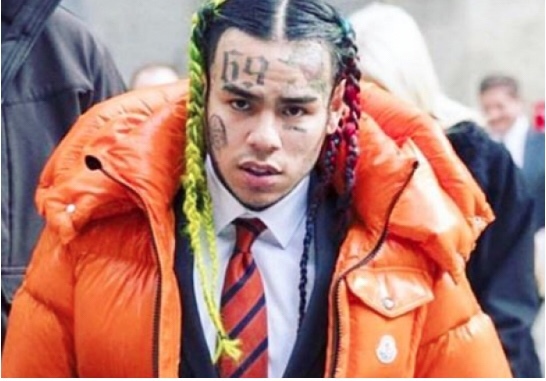 Judge To Send Tekashi 6ix9ine To Jail If He Says Tr3Way In His Songs. Tekashi 6ix9ine celebrated some good news when a New York judge granted him his freedom by not sending him to prison. The Judge sentenced 6ix9ine to 4 years of probation and 1,000 hours of community service. 6ix9ine was credited with one year served of probation which now leaves his term at 3 years left. It has also been reported that the judge told 6ix9ine if he is seen hanging with gang members or saying “Tr3way” then he will violate his probation and send him to prison to serve the 3 years.